In a previous post, I speculated about how Mormonism and traditional Christianity might relate to each other as both being Christian, and yet being separate religious traditions. In that article, I mention the views of Jan Shipps, and I also connect the relationship to Mormonism and Christianity with that of Christianity and Judaism. In a later post, I responded to Richard Abanes use of Jan Shipps own statement wherein she likens the relationship between Mormonism/Christianity to that of Christianity/Judaism. It is true that in many ways Mormonism is to traditional Christianity as Christianity is to Judaism. Christianity involved different ideas, different ritual practices, and additional scriptures compared with Judaism, as does Mormonism compared with traditional Christianity. Yet Blomberg may be too quick to assume that this analogy implies that Latter-day Saint belief and practice constitute a different religion from traditional Christianity. There are difficulties with the idea that Christianity is a different religion from Judaism, however often we may talk as though it is. The distinction is nowhere near as tidy as the distinction between, say, Christianity and Buddhism. Christ did not offer the Jews the comforting idea that he was starting a new religion irrelevant to their own. He claimed that if they did not accept his message, they were not truly following the authorities they already accepted: Moses "wrote of me" (John 5:45& 47); "If ye were Abraham's children, ye would do the works of Abraham" (John 8:39); "it is my Father that honoureth me; of whom ye say, that he is your God: Yet ye have not known him; but I know him" (John 8:54—55). While he called for deep changes to existing Jewish practice, he persistently referred to the Jews' own scriptures to support his teachings. As we see from the Sermon on the Mount ("I am not come to destroy, but to fulfill"; Matthew 5:17), Christ did not come to replace the Jews' religion, but to correct and fulfill it. Thus if Christ is to be believed, following their own religion required the Jews to follow Christ. Paul specifically calls the Mosaic law a "schoolmaster to bring us unto Christ" (Galatians 3:24). Designed to bring its followers to Christ and delivered by prophets who knew and wrote of him, Judaism as originally delivered was evidently a form of Christianity, although an incomplete form. Of course, in everyday discourse it is convenient to speak of contemporary Christianity and contemporary Judaism as two different religions. They do have substantial differences in both belief and practice, and on most occasions it is not appropriate for Christians to press their view of the situation on Jews who do not recognize Christ as their Messiah. Still, from the Christian perspective, Judaism can only be regarded as independent from Christianity insofar as it is a human tradition, out of touch with its origin in revelation. Christ recognized this aspect of Judaism, calling it "the tradition of men" in contrast with "the commandment of God" (Mark 7:8). His comment on this tradition was the same as his comment on the Christianity of Joseph Smith's day. In both cases he quoted Isaiah: "This people draweth nigh unto me with their mouth, and honoureth me with their lips; but their heart is far from me. But in vain do they worship me, teaching for doctrines the commandments of men" (Matthew 15:8—9, paralleling Mark 7:6—7 and quoting Isaiah 29:13; compare Joseph Smith—History 1:19). Thus Blomberg's analogy holds rather closely, perhaps more closely than he realized. Mormonism relates to traditional Christianity much as Christ's teaching related to traditional Judaism. In both pairs, the first member claims to restore the original from which the second has strayed. Of course, Christ also presented much more than had been present in the original Mosaic teaching. Thus Huff argues that the relationship between Christianity and Judaism (at least in the view of Christ and his early followers) is not that of a new religion, per se, but rather as a restoration of the original, with new additional revelations as well -- precisely the view the Mormons hold in regard to the connection between Mormonism and Christianity. But Christians don't regard themselves as Jews, so should Mormons identify as Christians? Actually, I don't think the statement that "Christians don't regard themselves as Jews," can or should be taken at face value, which is precisely the point of Huff's response. Christ and his immediate followers DID consider themselves Jews, who were practicing the pure form of Judaism. Even as the Gentiles began to join the Christian ranks, it was believed that their baptism signified an adoption into the house of Israel (see Gal. 3:27-29). Indeed, New Testament Christianity clearly consider itself the true “Israel” or, in other words, they believed that they were the true Jews. Some could even argue the religion presented in the New Testament is not a new religion, but rather a form apocalyptic Judaism. To the extent that these NT themes are still believed by modern Christians, they are considering themselves “Jews,” even if that identification isn’t made explicit in their language or terminology. From another perspective, in my post which I reference at the beginning of this one, I reason that just as both Christianity and Judaism are both termed “Abrahamic” religions, despite being different religions, Mormonism and traditional Christianity can both be termed “Christian” religions. The basis for terming religions as “Abrahamic” is their being based on the Abrahamic traditions and covenants. Likewise, the basis for terming a religion as “Christian” is its basis on the teachings of Christ. Once again, insofar as Christians regard themselves as the “true” Abrahamic tradition, with the “true” covenant relationship the God of Abraham, they are more or less regarding themselves as Jews. To the extant in which Mormonism “re-Judaizes a Christianity that had been too much Hellenized,” as W.D. Davies observed, I think it is appropriate for Mormons to regard themselves as both Christians AND Jews. To be clear, I do not think it appropriate to consider modern Christians as the same thing as modern Jews. But then again, I do not think it is appropriate to consider Mormons as the same thing as modern Christians (or Jews, for that matter). 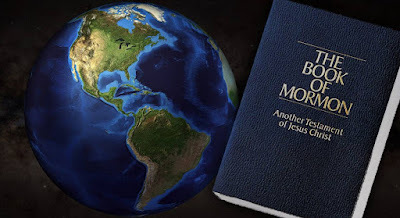 But I do think it is appropriate – and even right, or correct, or accurate – to consider Mormonism as a type of Christianity, just as I think it would be right to consider Christianity a type of Judaism.